i need some help deciding what to do with my late fathers glass collection. 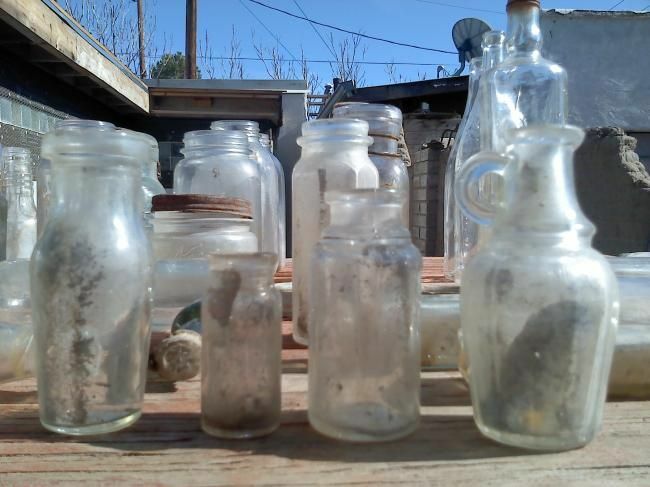 Im thinking of just selling the entire collection in one..many different eras ,stlyes glass. 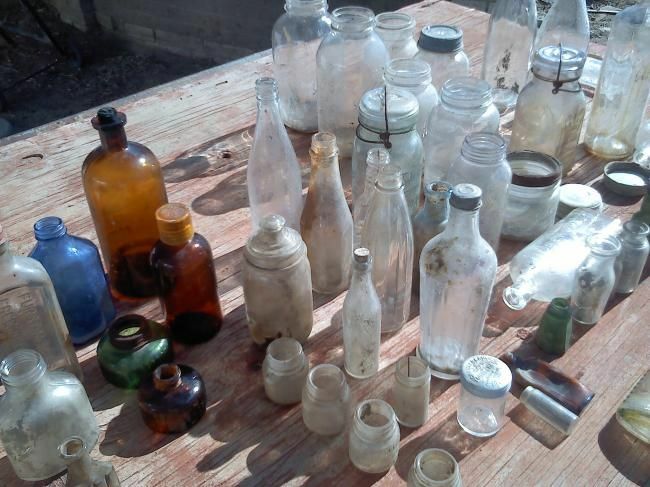 from antique soda bottles to medicine bottles. Some I can tell are pre civil war by the scarings but am new to the glass world. Much more glass than even in pics. 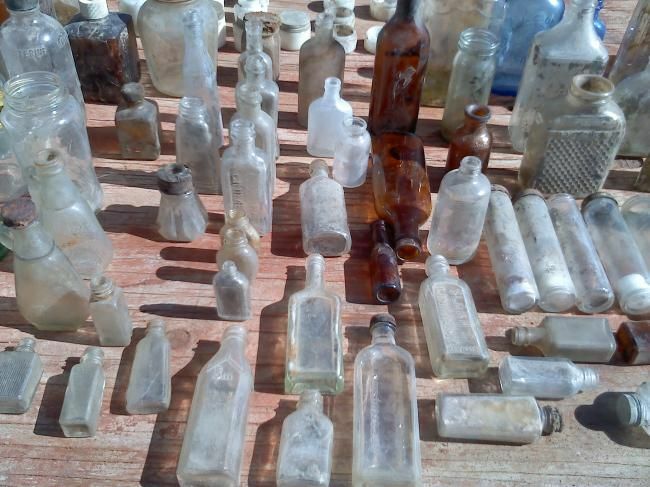 1923 coke bottles stamped washington dc and many others. 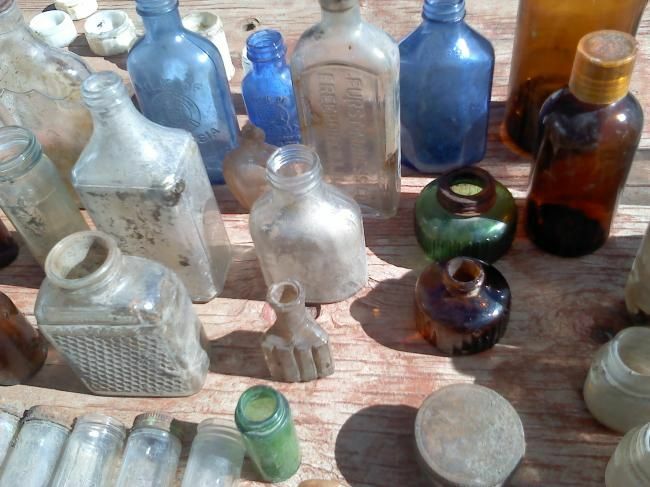 I do have an old pepsi bottle straight sided early 1903 or before also stamped washington dc. If any questions i will try to answer best that I can or take more detailed pics if desired. Thank you for looking. There is always the possibility of a few good bottles in the bunch, but based on what I am seeing, that is unlikely. You are welcome to post more photos if you like. 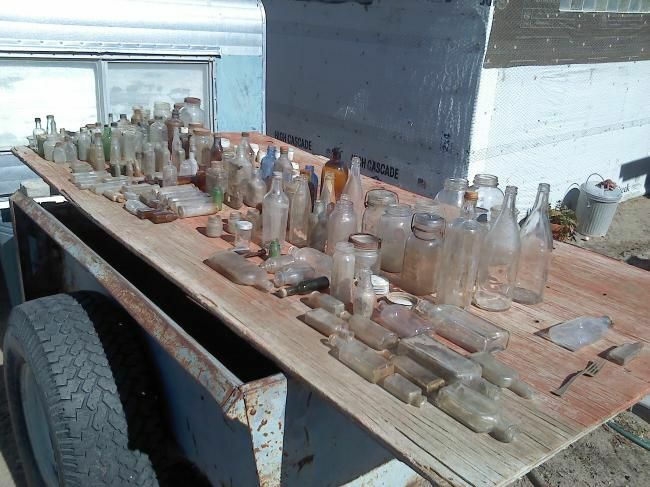 You have some interesting old glass but it is not worth much at all. Selling as a lot on craigslist is probably your best way to go.